Another great evening with 10 golfers. I would like to thank Cobra146 for being Doggie Master and reading off the Skins. 4 Doggies were all hit. Spinmaster walks away with 2 Dogs (#7 & #17), J-Dub on #5 and The Game on #12. A good night out with good golfers and a a return of a Rookie. 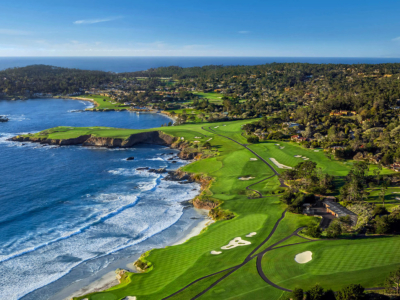 We played the iconic Pebble Beach matching the PGA tour. Hope to see slammers out for next week at Riviera. Knacker goes 2-1, earns 1 skin. Guyzer had a hot putter and takes down two B-class golfers.